Valentine’s Day is only a few short days away and if you want to surprise your honey with a great vegan feast to celebrate your love, check out the list below. Everything below is pretty easy to make, so set the mood and enjoy the day! 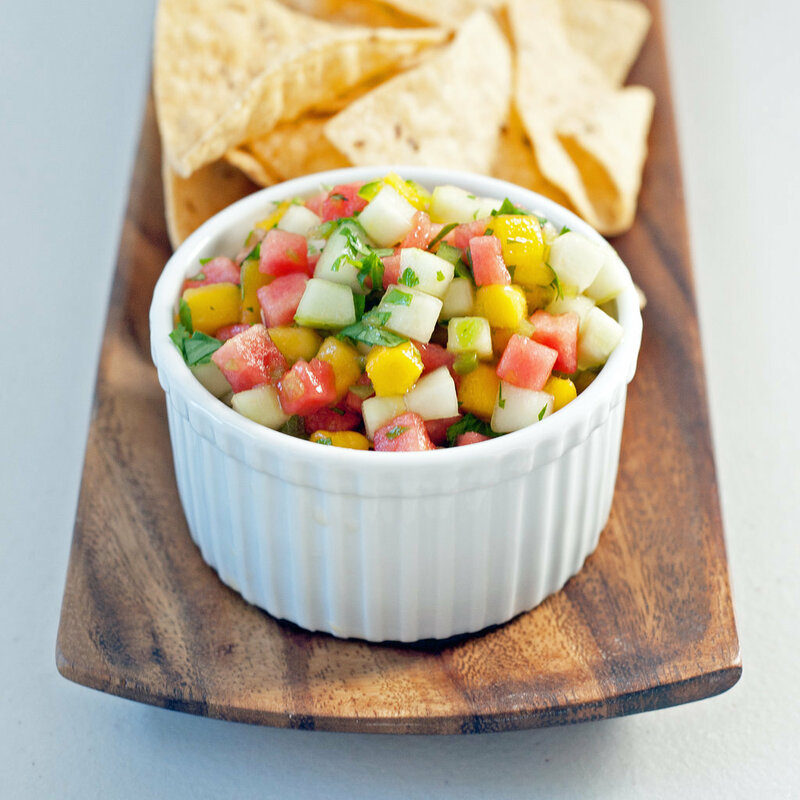 You may not have the opportunity to travel to a tropical island for Valentine’s Day but this salsa infused with watermelon, cucumber, and mango will taste like you’re on a tropical vacation. Serve this to your honey while you’re finishing up dinner. 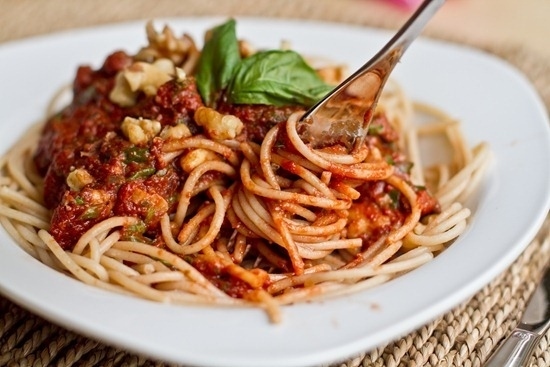 Have a Lady and the Tramp moment with this spaghetti dish! 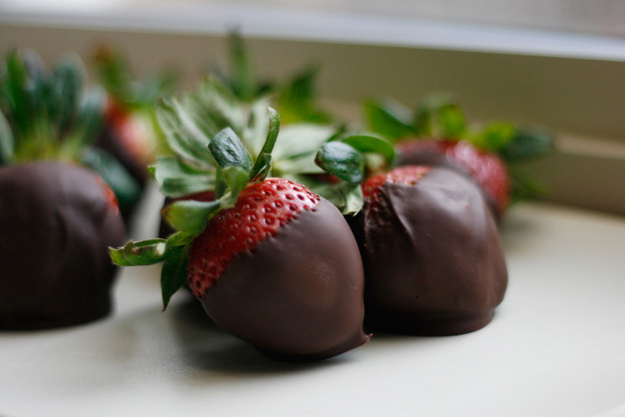 You absolutely can’t go wrong with Chocolate Covered Strawberries. These are super easy to make and will satisfy any lady who has a series love for chocolate! Just be sure to use dairy free chocolate. Having a delicious romantic drink can pull this entire meal together. 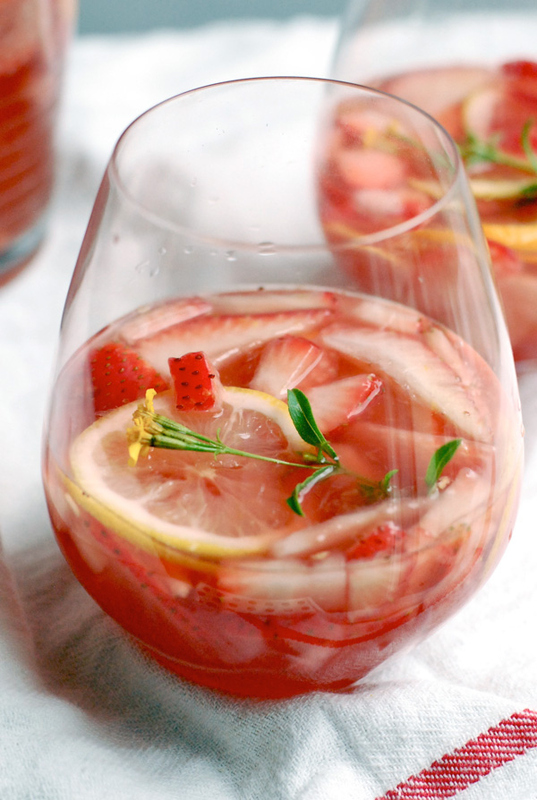 Use a few strawberries from the dessert to make this sparkling rose sangria! Posted on February 13, 2015, in Recipes and tagged romantic vegan recipes, valentines day, vegan meal, vegan recipes, vegan valentines recipes. Bookmark the permalink. Leave a comment.